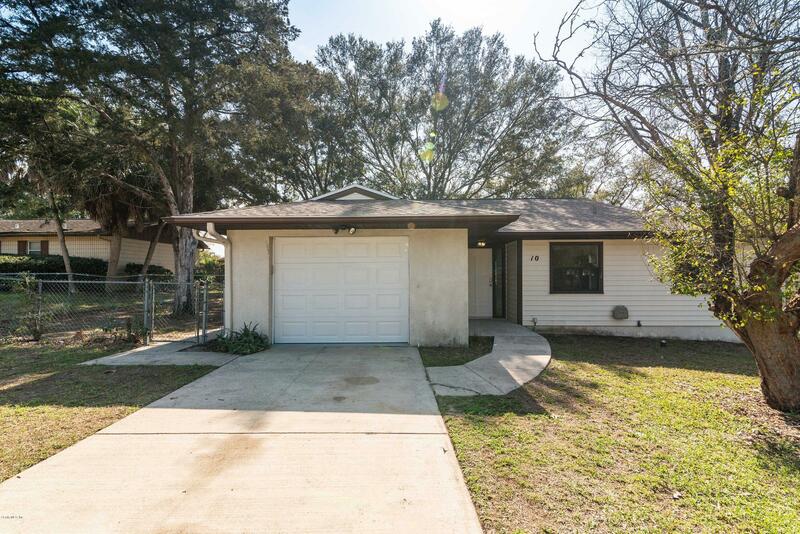 Attractive 3 bedroom, 2 bathroom home located in growing Ocala community of Silver Springs on cul de sac street. Open floor plan with living room/dining room combo featuring new neutral 2 tone interior paint and wood look vinyl floors. Updated kitchen includes new cabinets, new counter tops, breakfast bar, and stainless steel appliances. Master bedroom offers walk in closet and en-suite bathroom with shower. Screened in lanai off rear sliding door overlooks fenced backyard including storage shed and mature trees. Home is located between Ocala and Belleview. Easy access to public parks, Lake Weir, medical, schools, shopping, and dining. NO HOA. NEW water heater, NEW garage door plus NEW Roof to be installed! A must see! © 2019 Ocala Marion County Association of Realtors. All rights reserved. Information deemed to be reliable but not guaranteed. The data relating to real estate for sale on this website comes from Ocala Marion County Association of Realtors and the Broker Reciprocity Program.sm. Real estate listings held by brokerage firms other than Fontana Realty are marked with the BR logo and detailed information about them includes the name of the listing brokers. Listing broker has attempted to offer accurate data, but buyers are advised to confirm all items. Information last updated on 2019-04-20.